“You are what you eat — quite literally. Our bodies are made up of food. Literally, our cells, our bones, our tissues, and organs are built from the nourishment that we provide our body through the foods that we eat. Food may be perceived as external, but the moment it enters our mouths, it becomes the fabric of our physical, energetic and emotional bodies: our individual self”. With this in mind, it is easy to see the importance of proper diet. Most people think of food as separate from themselves — an external substance foreign to the body, but this is not the case. Food is essential to life, your life, and the kinds of food you eat directly correlates to the intelligence of your body, to your ability to experience higher states of awareness, and to maintain God-Realization. Below are three lists with some generally guidelines as to what foods are negative, zero (neutral) and positive when consumed. Ash gourd: Ash gourd is the most important of all positive prana food. People, who tends to get cold often, can take ash gourd with pepper and honey. Honey: It is similar to the chemical structure of human blood in a certain way. It is the best replacement for sugar. For people who suffer from anaemia, honey is a good medicine. Ground nut: When soaked in water for 6 to 8 hours, ground nut makes a wholesome food. For people who suffer from asthma, this is an excellent remedy. We can live well by taking only soaked ground nuts and fruits. Coconut: It is a positive prana food. People who suffer from asthma should avoid coconut as it creates mucus. Greens: Greens are good; however we have to cook and eat it. Spices: Spices are rich in prana; however, it should be used in moderate levels. If used excessively, it deteriorates the spiritual circumstances. Sugar: Instead of using white sugar, we can use Jaggery.When we buy jaggery, please make sure that it is not mixed with super phosphate. Palm sugar is really good of all. Zero prana food doesn't increase or decrease our prana energy. It is taken only for taste. It includes tomato, and potato. People who are affected by gastric trouble must avoid potato.If you take too much of zero prana food, it will make you lazy. Healthy carbs :(sometimes known as good carbs) include whole grains, beans, fruits, and vegetables. Healthy carbs are digested slowly, helping you feel full longer and keeping blood sugar and insulin levels stable. Non-vegetarian food is not suitable for the human body. It is not on the basis of compassion. When we see the structure of human being, vegetarian food suits well than non-vegetarian food. Now, even medical people accept this opinion. Non-vegetarian food not only affects the human body but also the mind. Now, scientists agree with this point. You should take the food, which your body prefers and should not take the food, which your mind or tongue prefers. If you don't keep your body in a good condition, it will trouble you in so many ways. So, please take food which increases your prana energy. If you make your body aware, you will easily find what to eat and what not to eat. Meaning: "A practice of offering is Brahman, the oblation is Brahman, the device of offering is Brahman, and the fire (hunger) to which the offering is made, is also Brahman. For such a one, who abides in everything (Brahman), by him alone Brahman is reached". Brahman refers to God himself. This Shloka suggests that god is everywhere, in the food, inside the devotee and even the hunger is God. So, devotee is taking the food (God) to the hunger (God). To put succinctly, we always thank god for his divine grace. Coffee and Tea are negative Pranic foods? Greens? what do you mean? You also put Fruits and vegetables directly below zero pranic foods? I am a bit confused about that. 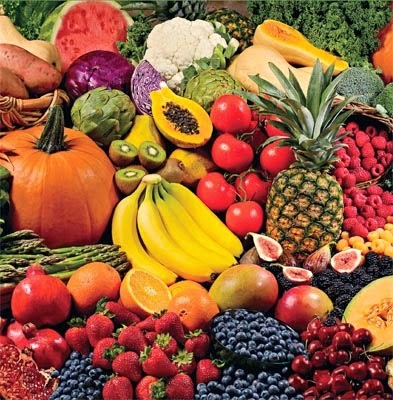 Are rainbow fruits or vegetables in general, zero prana? No these are positive pranic foods. You can feel that yourself. What about cherry tomatoes or plum tomatoes? what pity that tea and coffee are under negatve pranic food. Is the meat comes under negative pranic food? The article is good although i did not like coz tea is negative. Oh no! All kinds of meat , sea food, eggs, red meat are negative pranic foods. Also cooked food become zero or negative pranic within three hours of cooking. So basically try to cook and eat immediately. Frozen or refrigerated foods as also tinned, canned and pre cooked foods all have no pranic energy. Also in India there is a saying that u should enter kitchen after bathing and then cook food and eat...coz then the pranic energy is abundant. When u just get up and go to kitchen without bathing, ur pran energy is depleted and will therefore affect the food. I am just curious. In the article, it mentions that non-vegetarian foods "is not on the basis of compassion". I would absolutely agree with that, but I have a tiny doubt as well. I agree as I scientifically know how it is not designed for human physiology and also due to other medical reasons and evidences. I would wonder that perhaps some form of compassion is also involved in not eating non-vegetarian food. I think this so because otherwise a human would not feel repulsive (or some form of dislike) in the thought and action of killing a living being (animals and human included), and the same repulsive action (or some form of dislike) when seeing blood, bones etc, even the thought of it to many. In the other way round, we don't really feel such responses when it is replaced with vegetarian food (grains, fruits, vegetables etc), in fact we salivate to many of them. To add to all this, if compassion is not a thing, why wouldn't we just go on killing animals and human alike, just like plants (especially with our own hands). I would say that a person doesn't have to be a realised or spiritually developed being to perceive this simple difference. Moreover, if we do ask this same above question to an ardent Buddhist or a Jain, he/she would likely say that non-consumption of non-vegetarian food is equally due to compassion. The thing is that I used to be a non-vegetarian, and I am now vegan (includes excluding animal products in aspects other than food like in clothing, cosmetics, entertainment etc) for more than 3 years ( also a serious practitioner of some form of yoga/spirituality). When I was a non-vegetarian, I killed chickens and fishes, and helped kill goats, sheep, calves with my own bare hands numerous times. So, after some time when I turned vegan , I realised that not consuming them actually deepens or develops the compassion in us towards them. what about eggs are eggs positive or negative ?